• Baiyi Tao, 25, of Philadelphia, declined treatment for minor injuries he suffered when his car struck a bolder at Route 880 and Gottshall Road in Limestone Township about 7:20 a.m. Friday, state police said. 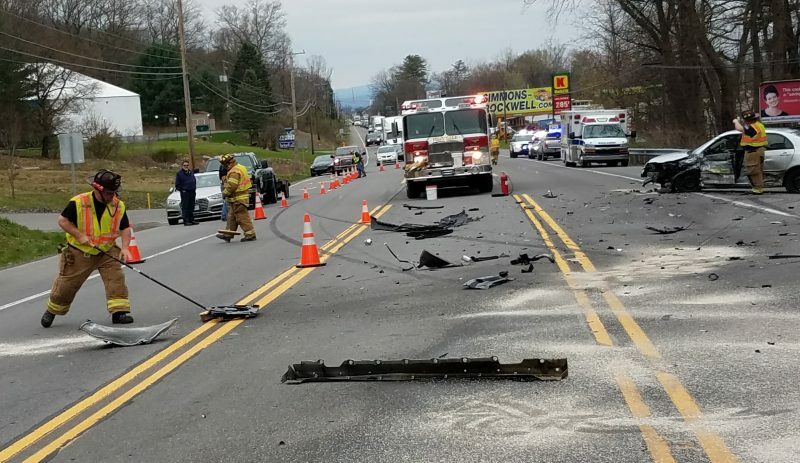 • Martha Rankinen, 78, of Williamsport, was treated at UPMC Susquehanna Williamsport Regional Medical Center for injuries when a car in which she was riding struck a speed limit sign and landed in a ditch on Rose Valley Road Gamble Township about 4:50 p.m. Thursday, police said. The driver was Frederick Rankinen, also of Williamsport, police said. • Nicole L. English, 24, of Cogan Station, and a passenger in her car, Csyman Trostle, also 24, of Williamsport, both declined treatment for injuries they suffered when their stopped vehicle was struck in the rear by a a vehicle driven by Heather Myers, of South Williamsport, on Northway Road near Four Mile Drive about 9:45 p.m. Thursday, police said.